Contractor allowances are commonly used in contractor bids. Contractor allowances provide a mechanism for allocating funds in a contractor bid for undefined building materials, such as flooring, lighting, cabinets and bathroom fixtures. On the surface contractor allowances sound like a reasonable and innocuous solution to a new home construction project, however they can be fraught with pitfalls, particularly to the home buyer or homeowner. The rational for contractor allowances is that during the bidding process of a home construction project, home buyers or homeowners have not made final decisions on certain aspects of the project, such as kitchen cabinets, lighting, and flooring. To enable the bid selection and construction project to move forward contractors frequently allocate funds in their proposals for these types of items. Unfortunately, more often than not the funds allocated by contractors for these types of items turn out to be woefully inadequate and either the homeowner has to settle for lower quality items or spend additional monies. A typical example of this unfortunate situation is with flooring allocations. When I was purchasing my first semi-custom home years ago I fell into the trap of accepting a contractor allowance for flooring. The flooring allowance was for a set dollar amount per square foot and specified a particular flooring supplier. On the surface the allowance sounded low to me and I raised this concern with the contractor. He explained to me that that I was receiving his contractor discount at this particular flooring supplier and that I was actually getting a good deal. I wound up accepting his explanation and signing his construction contract without even visiting the flooring supplier first. This was a big mistake. When it came time in the construction process to make my flooring selections I discovered that my contractor’s flooring supplier had limited flooring options that I was not particularly satisfied with. I raised this issue with my contractor and he retorted that I could use another flooring supplier if I preferred. The problem with this response was that the flooring allowance was a low fixed dollar amount that was tied to a contractor discount with this one particular flooring supplier. Choosing to go to another flooring supplier would have forced me to spend even more for the same poor quality flooring. So in the end, I wound up sticking with the contractor’s recommended flooring supplier and spent more than the budgeted flooring allowance to get something that I was less than fully satisfied with. To avoid the pitfalls of contractor allowances home buyers and homeowners should make every effort to specify in their request for quote to contractors, all aspects of their home construction project. By specifying all aspects of their project home buyers/homeowners can avoid the entire concept of contractor allowances. What this means is that homeowners need to first visit the lighting, cabinet and home improvement stores and identify the specific items they want to include in their home construction project before providing request for quotes to contractors. By going through this process, before submitting request for quotes to contractors, homeowners can obtain more accurate bids that are easier to compare. In addition, contractors benefit by knowing up front exactly what the homeowner wants. It is important to note that homeowners are not the only ones susceptible to contractor allowance pitfalls. Contractors frequently get caught in contractor allowance traps. For example, when a contractor completes his rough-in framing and then finds out afterwards that the homeowner has decided upon a larger than planned bathtub, he has to redo his work. In the end, the homeowner winds up paying for the contractor’s redo efforts, however the contractor sometimes ends up paying a price by slipping complete dates and potentially losing customers that are awaiting his services down the road. 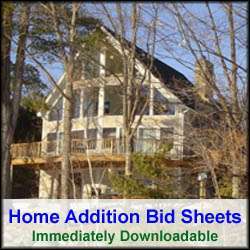 So instead of going down the path of contractor allowances, the homeowner should visit their local home improvement stores and generate a list of all the construction materials he or she wants in their home construction project. By specifying all of the home construction requirements to prospective contractors more accurate bids will be obtained that are easier to compare. 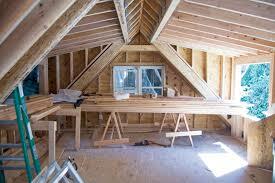 And most importantly, the homeowner will get the finished home or home addition that he or she is looking for.